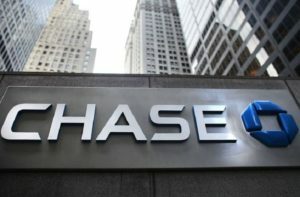 Chase Bank Hours - What Time does Chase Bank Open/Close Today? 2 Chase Bank Hours of Operation. 3 Chase Bank Holiday Hours. 5 Chase Bank Customer Service Contacts. Chase Bank hours of operation varies from location to location. However, most Chase Bank branches are open from Monday to Friday 9 AM till 6 PM, on Saturdays from 9 AM till 4 PM. On Sundays all Chase Bank locations are closed. Chase Bank Hours of Operation. What time does Chase Bank open? Chase bank opens at 9 AM on weekdays. What time does Chase Bank close? Chase bank closes at 6 PM on weekdays. Is Chase Bank open on Sundays? No. Chase Bank branches are closed on Sundays. Many branches close at 2 PM on Saturdays. Check Chase Bank’s branch locator for exact hours. Chase Bank Customer Service Contacts. The Chase Bank Customer Service Phone Number is: 1-800-935-9935.